WBA/IBF/WBO heavyweight champion Anthony Joshua says he is “95 percent” sure he will fight WBC ruler Deontay Wilder this year. Speaking with Sky Sports, Joshua said that he and his promoter Eddie Hearn are “working tirelessly” when it comes to making the massive unification showdown a reality before the end of 2018. Fans lost hope somewhat when Hearn and Shelly Finkel were unable to make a deal; the $50 million take it or leave it offer from Team-Wilder failing to get the fight signed, sealed and delivered. 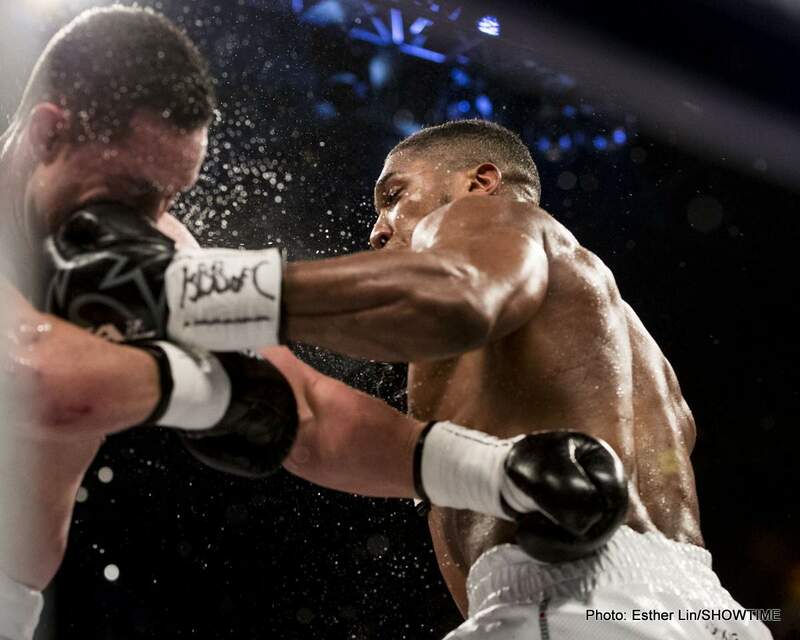 However, talks have taken place since and Joshua is optimistic the fight will come – either in the UK or in the US. Should the fight take place in the US or in the UK? If neither side is willing to budge on this issue it could prove problematic. Wilder has fought in the UK before, whereas AJ has not yet boxed in America. If it did happen at the end of the year, it would be too late for a stadium fight outdoors in the UK, so maybe this one should go down in America, in Las Vegas. There hasn’t been a magical night for the heavyweights in Vegas for around 20 years and it’s high time this was put right. But really, wherever it happens, fans will be happy enough – just so long as it does happen. “I do believe it will be next because I want the fight and I believe he wants the fight,” Joshua said. Next boxing news: 13 years on – is the Corrales-Castillo war still THE greatest fight ever?